Plus, the Philippines’ Aquino on China’s mixed signals, Vietnam may be able to buy U.S. weapons, and more. Security links. In a significant step toward complying with global warfare norms, the United States said that it will change its policy and join the Ottawa Convention, which bans the use of antipersonnel land mines by signatories. The U.S. had long refused to accede to the convention, in part due to its commitment to South Korea’s defense — land mines are an important feature of the demilitarized zone between North and South Korea and are expected to slow down a North Korean assault against the South. “The unique circumstances on the Korean Peninsula and our commitment to the defense of the Republic of Korea preclude us from changing our anti-personnel land mine policy there at this time,” noted Caitlin Hayden, spokeswoman for the U.S. National Security Council. Accordingly, when the U.S. joins the 15-year old convention, it will do so with an exception permitting it to use land mines on the Korean peninsula but nowhere else. 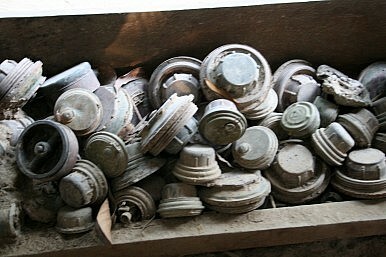 According to the Wall Street Journal, the United States will have to destroy its existing stockpile of around 3 million antipersonnel land mines to join the treaty. The Ottawa convention currently has 162 signatories. Notably, the United States, Russia, China, India, and Pakistan are non-signatories. Contrary to Aquino’s take on China’s often contradictory signals in the South China Sea, Vietnamese Deputy Prime Minister and Foreign Minister Pham Binh Minh, speaking at an event at the Asia Society in New York City, told an audience that his country had a clearer sense of Chinese perceptions. Minh, who is in the United States for the United Nations General Assembly, will also meet senior U.S. officials to discuss a potential lifting of the United States’ embargo on lethal arms exports to Vietnam — a change that would significantly bolster Vietnam’s military modernization efforts. The defense pact that was signed between the U.S. and the Philippines during U.S. President Barack Obama’s trip to Asia earlier this year is facing a legal challenge from Filipino legislators. Aquino’s government is confident that the challenge will likely fizzle before the country’s Supreme Court. The court has generally sided with the executive branch when it comes to important security matters. The bilateral agreement — dubbed the Enhanced Defense Cooperation Agreement — will allow U.S. forces access to military facilities in the Philippines on a non-permanent basis. The Philippines voted to expel U.S. forces in the early 1990s. Should the US Proliferate A2/AD in Asia? The United States shouldn't rush into arming its allies with anti-access/area denial technologies.